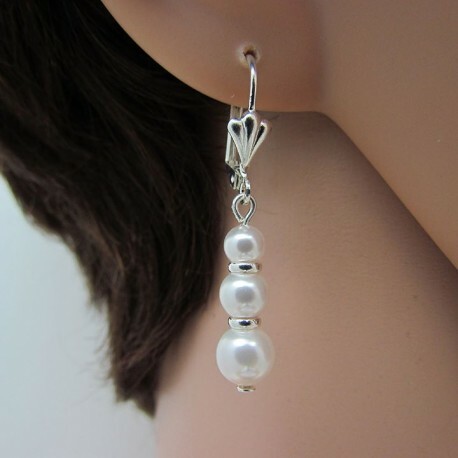 Trio Pearl Drop Earrings with Silver. 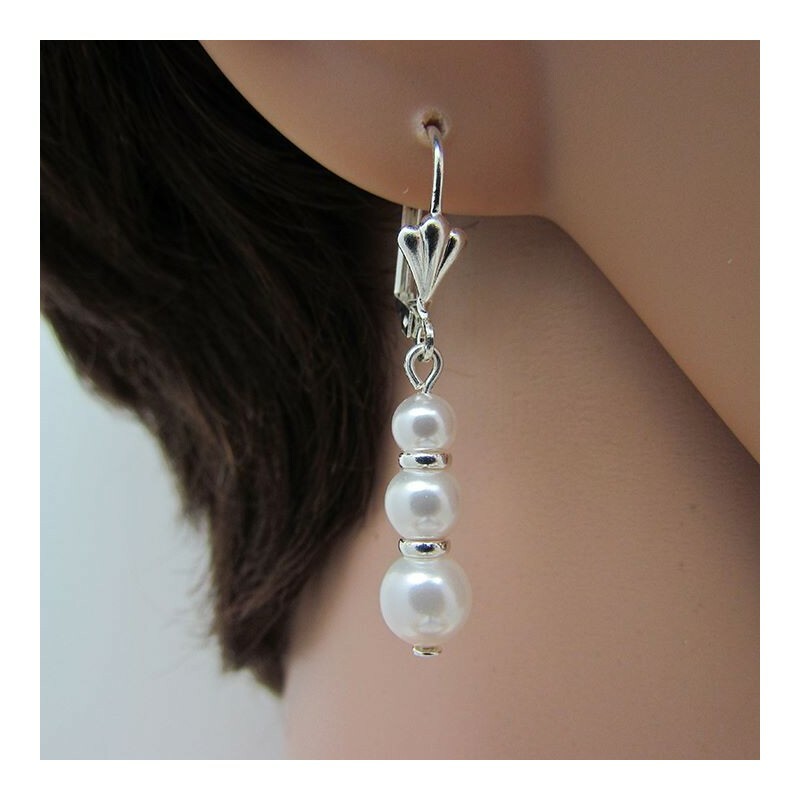 Delicate freshwater pearl drop earrings made of 3 Swarovski tiny pearls linked each other by silver plated links and capped with a vintage inspired closure. 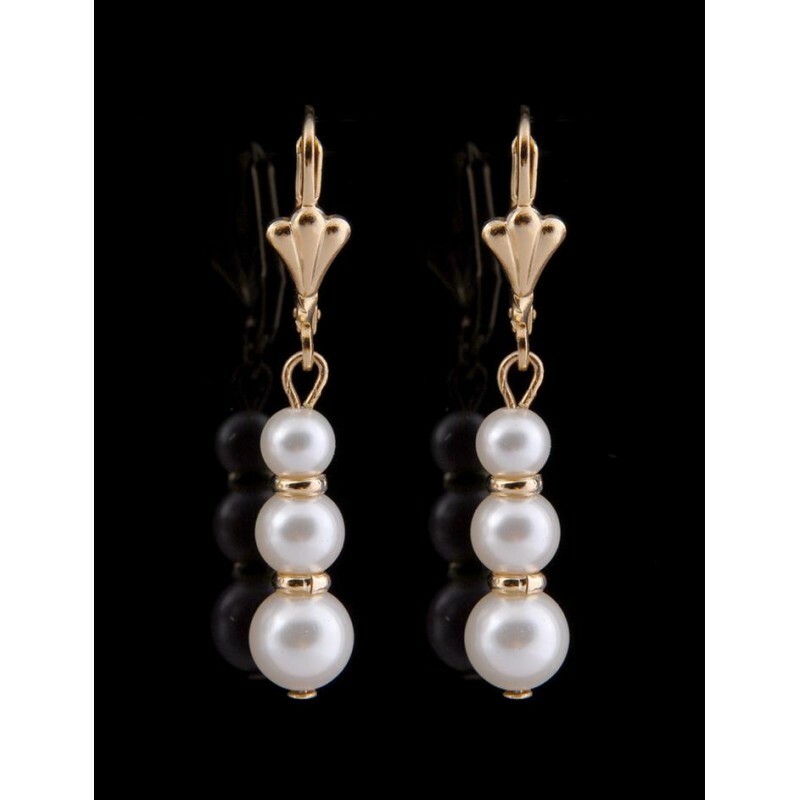 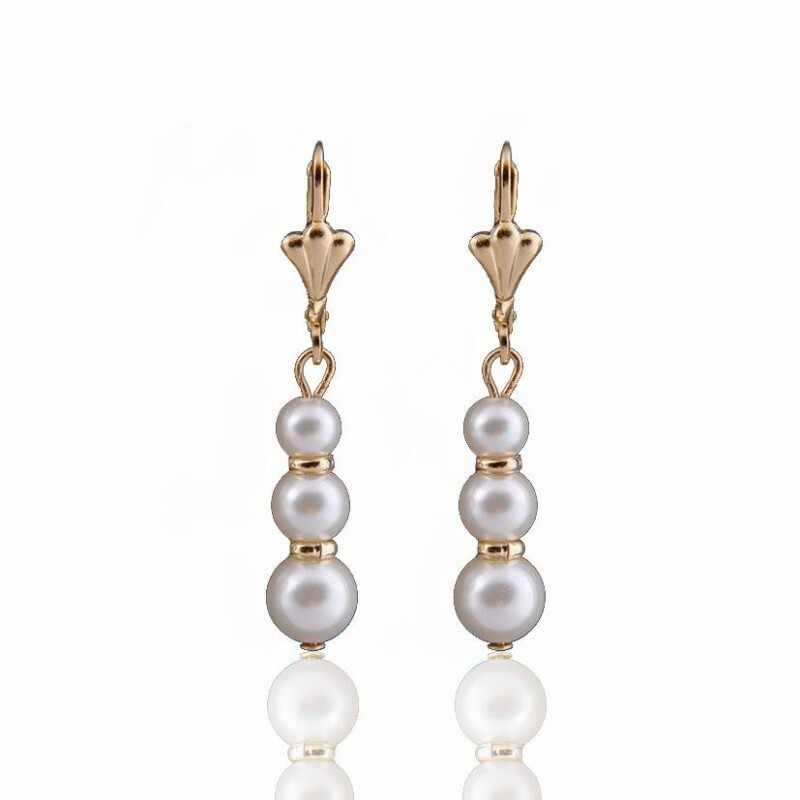 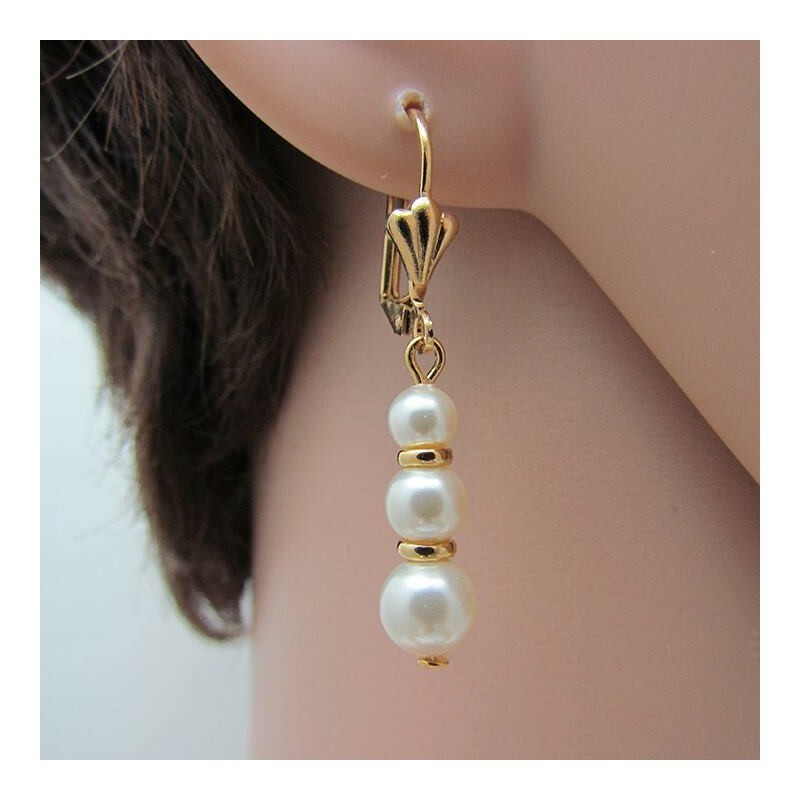 Trio Pearl Drop Earrings: 0.8" / 2 cm approx.